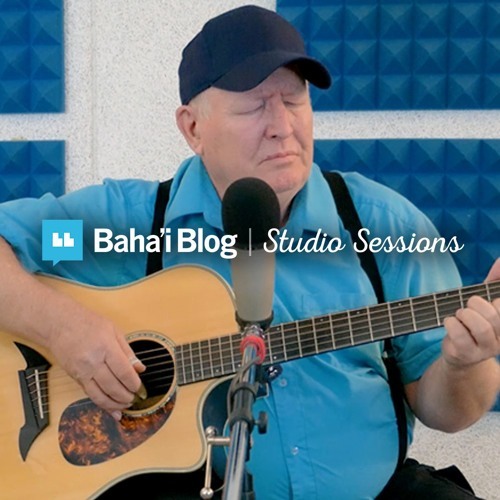 Baha’i Blog’s “Studio Sessions” is an initiative where we invite Baha’is and their friends from around the world to come into a studio and share the Baha’i Writings put to music. In this Baha’i Blog Studio Session, we’re in Phoenix, Arizona with Carl Brehmer who sings “I Am the Promised One” from the Bab’s address in The Dawn-Breakers. You can also watch the recording of this song on Baha’i Blog’s YouTube channel here: https://www.youtube.com/watch?v=xQi94Q_JUyE This song was filmed and recorded in Phoenix, Arizona, December 2017. Discover more Baha'i-inspired content on BAHAIBLOG.NET Here is the quotation used for the lyrics below followed by the lyrics: "I am, I am, the promised One! I am the One whose name you have for a thousand years invoked, at whose mention you have risen, whose advent you have longed to witness, and the hour of whose Revelation you have prayed God to hasten." - the Bab ---------------------- Alternate: F/D and G I am, I am, I am, the promised One! The One whose name you have for a thousand years invoked at whose mention you have risen, and the advent of whose Revelation you have prayed God to hasten. I am, the promised one.